The summer before I wrote Golden Boy, I was thinking a lot about gender. How does it affect us? How do other people treat us differently because of it? How does our experience as a certain gender shape us? For example, in general women are smaller and physically weaker than men – might years of living with this vulnerability make us more cautious? There were several factors in my life that made gender a theme at that time. Like many writers I am inspired by reading, and that summer I read The Women’s Room by Marilyn French in a quiet park opposite my flat in Camden Town. It was also a bit of a summer of love, and I was thinking about the roles men and women traditionally play in relationships. I also grew up being friends with a lot of guys and was experiencing surprise at that time, in realising that there were differences between us, caused by something as arbitrary as the chromosome combinations we were born with. Gradually these themes developed, and sometime in late September I started to write an email, sending it back and forth to myself, about two brothers, one of whom was not quite, or only, a teenage boy. A big fan of Spanish language cinema like the films of Pedro Almodovar, in 2009 I had taken myself to see an Argentinian film called XXY, about an intersex teenager living in a remote coastal village. Three years later, I wondered if a discussion on the different experiences of the two ‘accepted’ genders could be approached with a narrative about an intersex individual. I wondered how someone who had grown up as a male might cope with finding that, due to the capabilities of their body, they must deal with an important and often frightening part of the female experience. How would my lovely protagonist, who I now named Max, cope with his body’s insistence on exposing his secrets? Would his family treat him differently? Would he have the courage to live in an undefined role in society, or would he seek definition out? 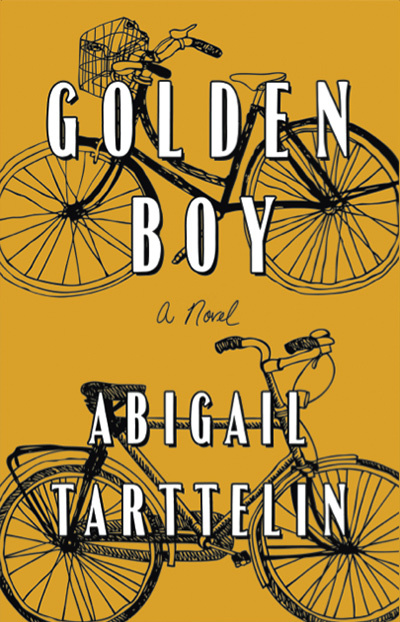 When it came to writing Golden Boy, I realized that many depictions of LGBTQIA individuals in contemporary culture show them living on the periphery of society. I questioned why this was, as intersex and trans individuals can be born to anyone, anywhere, and the matter of gender impacts on most people’s lives at some point or another. 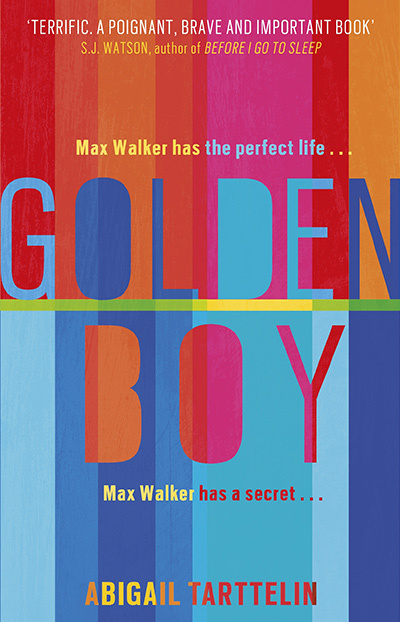 It became very important to me that Max live within an ‘average’ family and community, so that Golden Boy had the best chance of reaching, and speaking to, Mums, Dads and adolescents everywhere. Later, after I had written the first draft of Golden Boy, I became aware of a new generation of bloggers and subculture internet icons subverting old ideas of gender identity. Their identity was informed by gender, but by alternative genders or nonconformist attitudes to their own gender, that they had chosen. These bloggers were as young as 14, and they weren’t afraid. They were out, proud and completely self-confident; at the pinnacle of a progressive, worldwide movement towards embracing the idea that identity and gender are things we have to take into our own hands and not absolute concepts we are born with. The example these young people offered proved that characters like Max and Sylvie were wanted and perhaps needed in literature and mainstream culture. At the same time, press coverage like the front page articles on trans children in New York Magazine and The New York Times in 2012, made me ever more confident that a novel like Golden Boy could contribute to a discussion on gender by making the subject accessible; addressing families and readers, and not solely those already at the forefront of progressive thinking about gender and sexuality. Culture tends to lead the way for society as a whole to progress, and we are undoubtedly seeing a more fluid vision of male and female emerging in contemporary art, writing and fashion. With publishers willing to go wild over books like Golden Boy; the hiring of women like Tilda Swinton and Casey Legler to model menswear fashions; Sweden’s argument over the sexless pronoun; ample magazine coverage and TV shows like Hit Or Miss, in what could be the biggest cultural and social phenomenon since the sixties, everything seems to be pointing towards a freer idea of she and he.